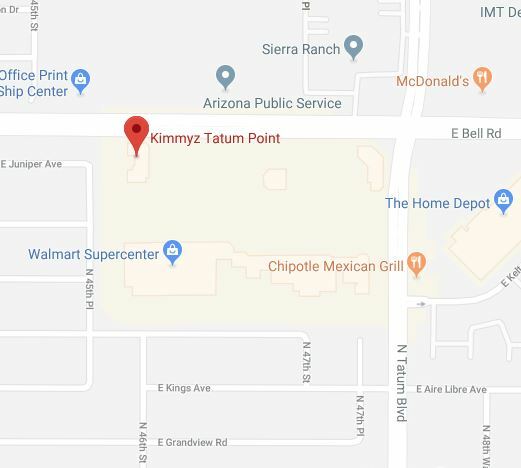 Kimmyz Tatum Point is the neighborhood bar and grill in Phoenix featuring live music, NFL Package, Paint Night, and more. Tatum Point is your one-stop sports bar and grill for all things live entertainment. Kimmyz Tatum Point is also your home for both the NFL and college football packages! Join us every week for NFL, Pac 12, Big 10, and SEC games! Looking for Live Music in Phoenix? Experience live music in Phoenix with performances by Crown Kings, Mogollon, Michael Nitro and more. View our events schedule today to experience the best live music in Phoenix. Don't Have the NFL Package? Kimmyz has you covered! Make your experience the best it can be with high-quality food and a wide range of beer! Join us every week for Pac 12, Big 10, and SEC games! This place is awesome. We went to a paintnite there and it’s a perfect place for this event. Plenty of good seats and service was excellent. We really enjoyed ourselves. I really hope they have more paintnite. Next time we want to try their food. DL S.
Great place to enjoy watching sports and enjoying a cold one. Kimmy has a great crew of friendly staff. Their menu is full yummy stuff! Our favorite is Carrie who works Saturday and Sunday days along with Monday and Tuesday nights. They often have live music on the weekends. Robert D.
Great place! My wife had dinner and beers on Friday night. We were there before the band started so we got a table. The staff was attentive and made sure we had a great experience. I had the philly cheese steak with tater tots. It was hot off the grill and delicious. My wife had the Friday night fish fry, again delicious. This is a great place to eat and have a good time Randy H.
Super cool bar!! Food is not your typical bar food. I ordered a medium rare burger with cottage cheese and it came out perfect!! My friend ordered a Cali burger with tots and he enjoyed it!! Staff was very helpful – we came in during shift change but Carrie took care of us. Live band on a Tuesday night – daily specials too. We will definitely be back. Jon P.